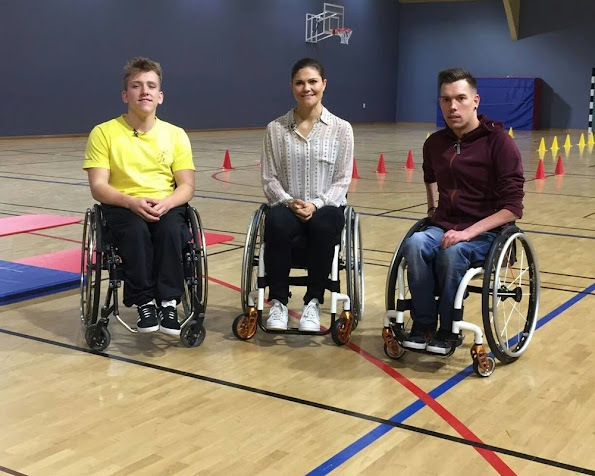 On November 22, 2016, Crown Princess Victoria of Sweden visited RG Rehabilitation Center (RG Aktiv Rehabilitering) which is a nonprofit organization in Stockholm supporting physically disabled people by giving sports training to them for the purpose of holding them on to active life. That organization is connected to Crown Princess Victoria's fund, that is, Kronprinsessan Victorias Fond. What a wonderful gesture of solidarity that she sits in a wheelchair! I am convinced that Victoria will be a good queen!